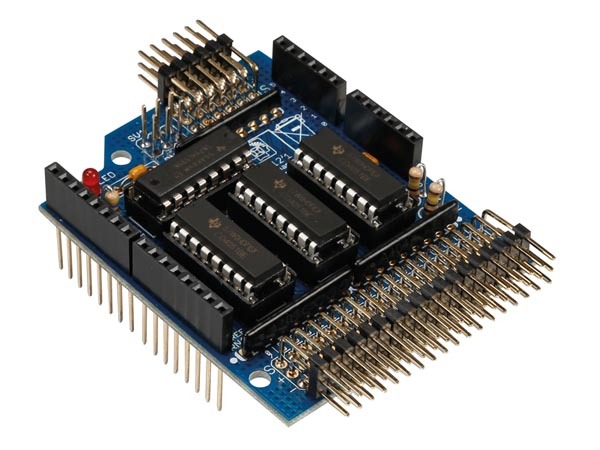 The Arduino UNO™ is equipped with 6 analogue inputs. Some projects call for more analogue inputs, e.g. sensor- or robot projects. This shield only uses 4 I/O lines (3 digital, 1 analogue) but adds a whopping 24 inputs, so in total you have 29 analogue inputs at your disposal. (Arduino motherboard not supplied).